Join or Die Edition, the game including "Ghost of War" mission, "Sharpshooter" MP package and some toys. Freedom Edition, the game including "Ghost of War" and "Lost Mayan Ruins" mission, "Sharpshooter" MP and some toys, some of them the same as above and some other. 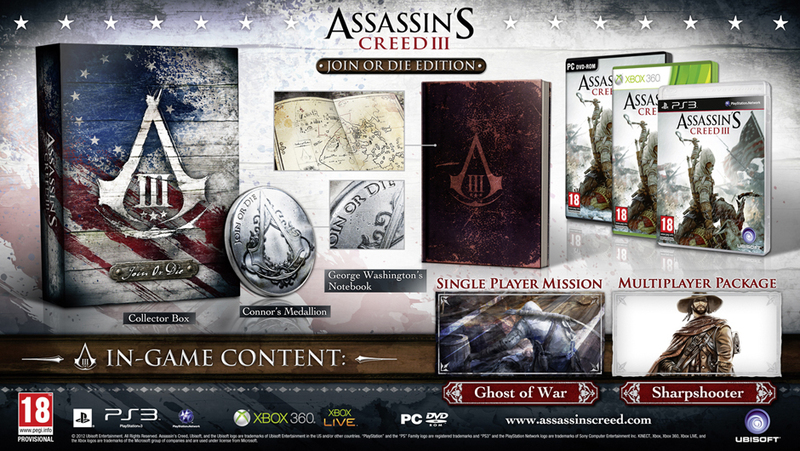 It doesn't say anything about the game included with the "Join or Die" and "Freedom" editions is the special edition and not the regular, and the pictures depict the regular edition. It also doesn't say anything like "giving access to all DLCs". Is there no way to get the "full" game with all the available content? I don't believe that you can get access to all the content with a retail package on the consoles, and I would imagine that the extra parts will be released as DLC at a later date. However, on the PC the Digital Deluxe Edition will include all the 3 missions as well as the MP content. There is a table on Wikipedia which lists the editions and which things you get, which could be helpful. Not the answer you're looking for? Browse other questions tagged assassins-creed-3 or ask your own question. 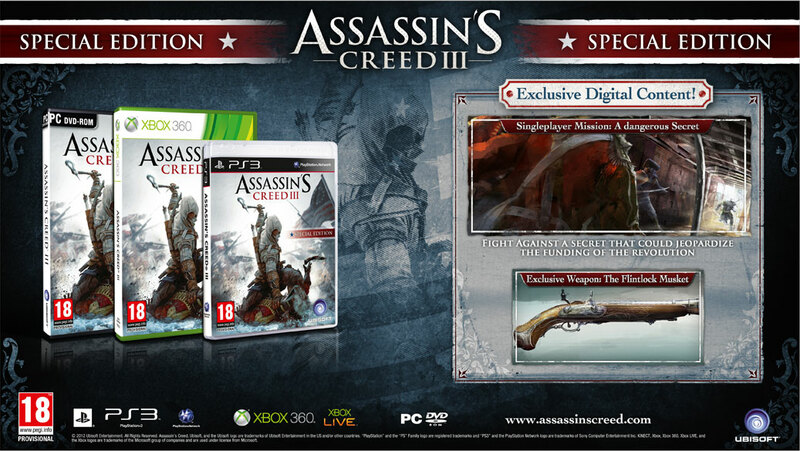 How do I get my pre-order bonus content in AC 3?